This duplex cottage is an ocean front dream come true! 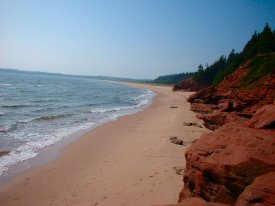 Within 50 feet from a white sandy beach that stretches for miles east and west. A beachcomber's delight. A runner/ walker's paradise. Two fully equipped cottages in one. 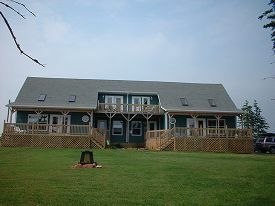 Ideal for two families who want to enjoy a PEI vacation together. In off season will rent each side of the duplex separately. Upper Decks off master bedrooms overlooking the water. Dens ( extra bedroom) on first floors that open onto lower decks.